Ad Astra Star Trek Fanfiction Archive A Trek fanfic community with hosted archives and an active forum/blog site. 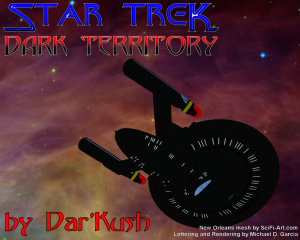 TrekBBS TrekBBS is the hangout for most of the United Trek authors with over 200 thousand users and activity 24 hours a day! Memory Alpha Memory Alpha is one of the best online resources of canonical Trek lore. Memory Beta A helpful resource for all Pocket Books and other officially released literature and technical manuals. Star Trek: Expanded Universe Expanded Universe is a helpful wiki covering most all fan-produced Treks, from fiction to films. 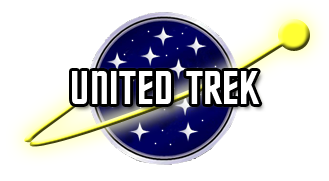 Enter your email address to subscribe to United Trek and receive notifications of new posts by email. Most Recent Stories from Ad Astra! 'STAR TREK®' and related marks are trademarks of CBS Studios, Inc. United Trek and all hosted fanfiction is not affiliated in any way with CBS, Inc. This web site and all stories and images herein are intended for entertainment purposes only. The authors have no commercial intentions. Many images on this web site are not original creations. Credits to the individual artists is given but if you find a picture that belongs to you and you are not properly credited or you do not wish for it to appear on this site, please email right away and proper credit will be added/the image will be removed. All stories contained on this web site are the property of the author and may not be duplicated without the author's expressed permission. By downloading the story files you agree that you will not alter the stories in any way, distribute them for monetary gain, or publish them without the author's expressed permission. The stories contained on this web site are works of fiction. Names, characters, places and incidents are products of the authors' imagination.